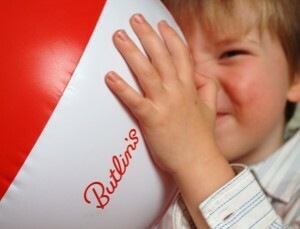 Well.. as some of you may know, we are off to the beach this weekend – courtesy of Butlins in Minehead. 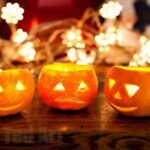 The UK has had some very unseasonal warm weather… and now that we are off to the beach, said whether has turned Autumnal. Typical! But to be honest, we don’t mind, afterall we DID book to go in October! And we love the beach, regardless of the weather. If we need warming up we can always head indoors to the indoor pools. 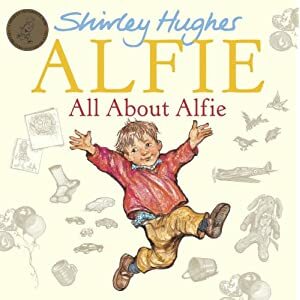 Alfie, All About Alfie by Shirley Hughes. Alfie is a little boy with a little sister (good start, as we have the same relationships here at Red Ted HQ) and Alfie gets up to all sorts of normal “boy activities”. 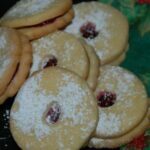 From hiding in his garden den with a picnic to baking cakes for his great aunt. Alfie, All About Alfie, contains 4 stories. 2 short ones and two longer one. The last one is a story about going on holiday and arriving at the holiday home late at night… they find an old owl hiding away in one the bedrooms. All terribly exciting. Lovingly illustrated with lots of detail. 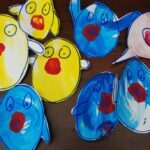 A sweet book for sweet children! We are taking this lovely books for a number of reasons. Firstly, we like the last story – and we will not be arriving at Butlins until late at night. It will be an “adventure” to find our rooms and get tucked in. Secondly, Alfie has a website. 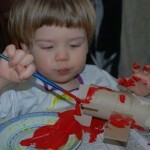 And this website has a number of activity sheets. As mentioned above, we don’t take many toys with us on to go on holiday, but it is good to have a couple of activities prepared. I always grab a bag of pens, some note pads and now these activity sheets and we should be sorted for part of the car journey home (they will hopefully be sleeping on the way there) and if we need any quiet time whilst away. Perfect. 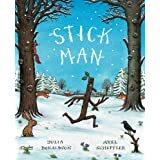 Stick Man, by Julia Donaldson & Axel Scheffler. We love Stick Man as it is a little bit different – Red Ted is just really starting to get into it (2.5yrs) and likes commiserating at the appropriate spots and shout “Oh no” when necessary. The story is about Stick Man, who of course, is not a stick (I’m Stick Man, I’m Stick Man, I’m Stick Man, that’s me..). But Stick Man gets in to trouble as person after animal after person mistakes him for a stick: using him to build a nest, for pooh sticks, as a bat etc. It looks as if Stick Man is about to meet a bitter end, when at the very last minute… well, you will have to read the story for yourself, but I will give you a hint: a big man in a big red suit and white beard appears and sees Stick Man for who he is! Kate and the Mona Lisa, by James Mayhew. Grandma often takes Katie to the gallery. Katie wonders why the Mona Lisa smiles and whilst her Grandma has a little rest, Katie embarks on an adventure, stepping into and out of paintings. 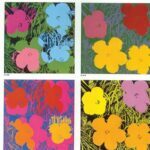 Meeting the Mona Lisa, dragons, lions and angels. We are introduced to 5 of the most famous Renaissance paintings by Da Vinci, Raphael and Botticelli amongst others. It was a lovely way to “view paintings”, providing a little background about the paintings and introducing key artist to both parent and child. I love how it encourages you to “step inside the painting” and imagine what could have been happening. In the end Katie finds out what did make the Mona Lisa smile. Fabulous. I am sure that “the art” element went way above Red Ted’s (then 2.5yrs) head, however, he really enjoyed looking at paintings and discovering details, whilst enjoying the excitement of the adventure (lots of tumbling and flying and running away). A success. We are taking it with us, as it is currently Pip Squeak’s favourite read.. and there is lots of detail to explore and discuss! I think we are ready to go… well almost. I just need to pack everything else now! 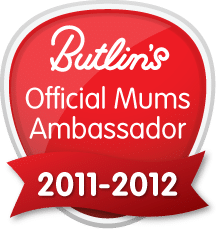 Butlins, here we come! Ooh! 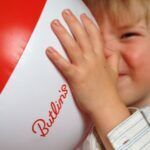 Have a great time at Butlins! It’s a shame that the hot weather didn’t last for your trip but at least there will be plenty of ‘indoor’ stuff to do, as well as getting wrapped up to go outside! I can’t wait to read your blogs about the trip! Aaah thank you Nadine! 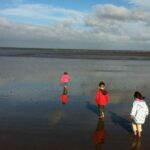 We knew we booked in October… so we are “all set for the cold” 😉 the kids still ADORE the beach. So I hope to spend lots of time outside and then head indoors to warm up in the pool!! Red Ted is so excited!